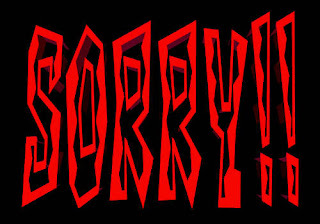 We're terribly sorry here at Karma Banana, as we've been terrible busy on pitches and client stuff and things. Indeed, too busy to keep our lovely blog quite as updated as you would come to expect from such a dedicated bunch as us. Plus horror of horrors, some of us will be popping off for our hols next week, so things may go even quieter on the blog front. However, rest assured, as soon as we're all back, tanned and revitalised, we'll get posting with more thrilling installments from London's most original communications company.